By now you probably know that I’m a huge KISS fan. And being a KISS fan means hearing about all of the crazy merchandising ideas they get involved in and asking yourself, Is this something worth buying? 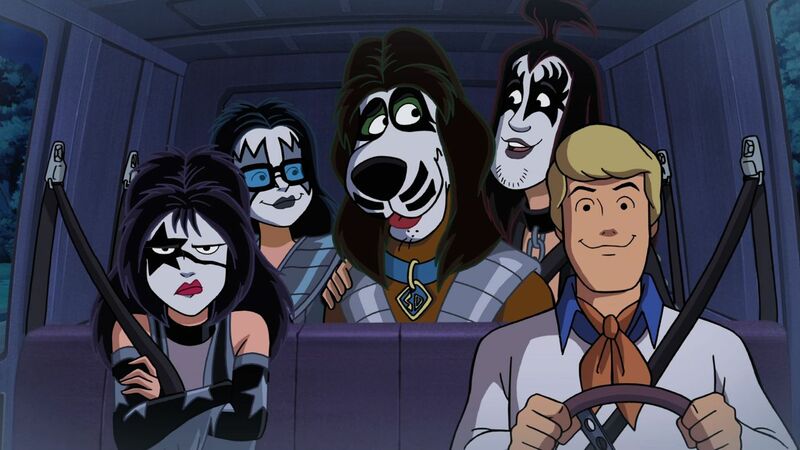 The band’s latest commercial venture is a direct-to-video movie with Scooby-Doo and the gang, and I’m glad to say it’s actually quite good. The film is around an hour and 20 minutes, and I found myself enjoying most of it. 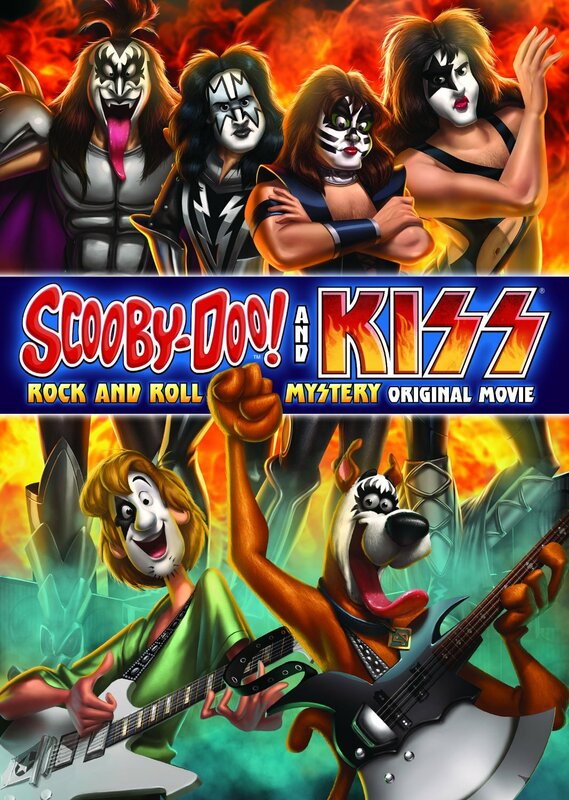 That said, this movie is directly targeted at KISS fans; so if you’re not a big fan of the band or if you dislike them, you probably won’t enjoy this movie. Some of the cool KISS references include characters named Shandi Strutter, Beth and Christine. And KISS’ manager, Doc McGhee, has a great role in the film where he’s constantly shilling random KISS items, including a KISS toilet. I also enjoyed various references to KISS albums like Dynasty and Destroyer. What I didn’t like was the fact that all of the KISS members are referred to by their character names (i.e., Demon, Starchild, Spaceman, and Catman). While I understand KISS sees themselves as assuming roles when they put on the makeup, why not at least reference their names once in a while since their real-life names appear in the opening credits? I also didn’t care for Gene’s over-the-top goofy voice. That’s not how he talks on stage or in real life, so it came across as bizarre in this movie. I found that I got used to it as the film progressed, but it was a little off-putting. Paul, on the other hand, stole the show. I loved the scenes where he was being flirtatious or channeling his stage voice and belting out “Oh Yeah!” Tommy and Eric, I mean, “Spaceman” and “Catman” were also enjoyable. Scooby-Doo! & KISS Rock & Roll Mystery is a fun little film. While the story is sometimes hard to follow, especially toward the end, the animation is phenomenal, the music is terrific – because it’s KISS, of course – and the voice work is solid. 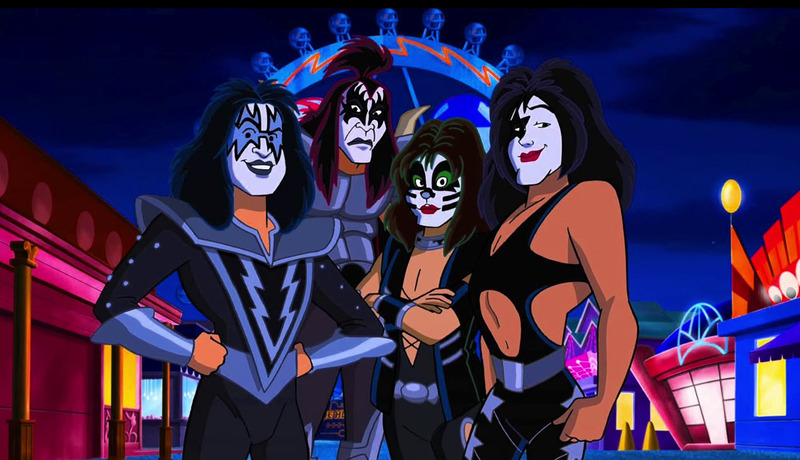 It’s like KISS Meets the Phantom of the Park, in that it takes place in an amusement park (i.e., KISS World) and the band members have super-powers. However, the major difference between these two films is this one’s enjoyable. Whether you’re a child or an adult, there’s something here for everyone. If you’re a KISS fan and you don’t already own this, pick up a digital or physical copy of this film. As long as you don’t take it too seriously, you’re bound to have a good time.